Welcome to Beads by Design website! 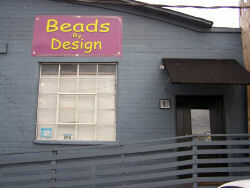 Beads by Design is and has been a retail bead store in the city of Marietta Georgia since 1998. We have specialized in everything bead related. Located just 1 mile south of the Big Chicken, we provide the public with the necessary tools and materials to make their ideas and designs come to life. 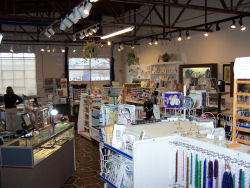 Our stock is continually changing, every week adding new items and saying good bye to favorites. We carry many colors of Delica beads as well as Japanese seed beads in size 15, 11, 8 & 6. Fire polish and pressed glass beads, pearls, gemstones, Swarovski crystals and handmade glass beads. Size 3 & 4mm Japanese square beads are continuing going in & out of stock as are triangles , bugles, and drop beads and many colors of 13 charlottes. Make us your jewelry making supply center providing tools,clasps, findings, wire in Sterling silver, copper, gold filled and many items in base metal and pewter. Our classes can get you started or add to your useful skills. Try out our micro macrame class or develop your wire wrapping skills to include your favorite stones. Always wanted to try out glass bead making? Take our one day class to introduce you to lampworking. All tools and glass are provided. peyote, pearl knotting, Precious metal clay, crochet, embroidery, all forms of wire working and stringing. 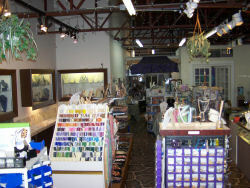 Beads by Design is also a host to the Southern Flames Glass Bead Society. The organization meets monthly with workshops throughout the year. See Southernflames.org for more info.